COME AND SEE NEW UPGRADES! 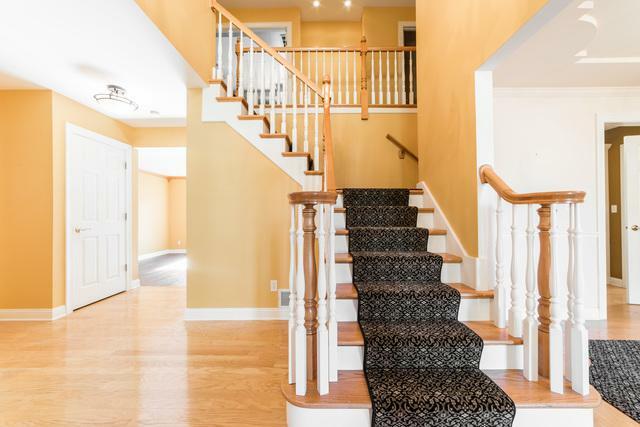 Winding staircase as well as upstairs hallway now have new high quality carpet that will catch your eye the minute you enter. The carpet inlay in the hardwood flooring in the dining room is the same new carpet. The family room now has one of most popular new hard surface flooring that enhances the look with the current brick fireplace. 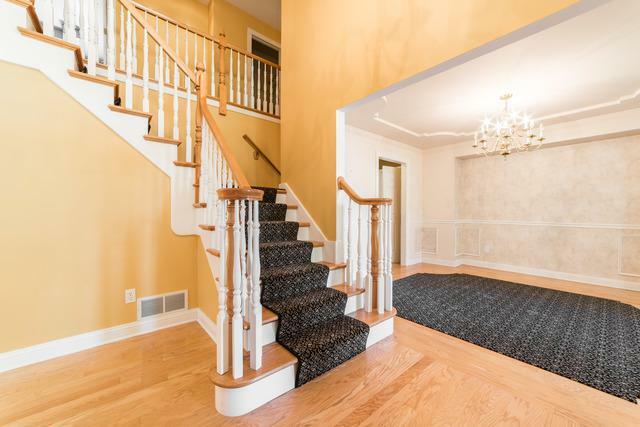 Contemporary exterior design suggests the two-story foyer and winding stairs to second level with 4 bedrooms, master suite has walk-in closet, double sink, shower, and Jacuzzi tub located at one end of the open hallway and the other three bedrooms are at other end with their bathroom. 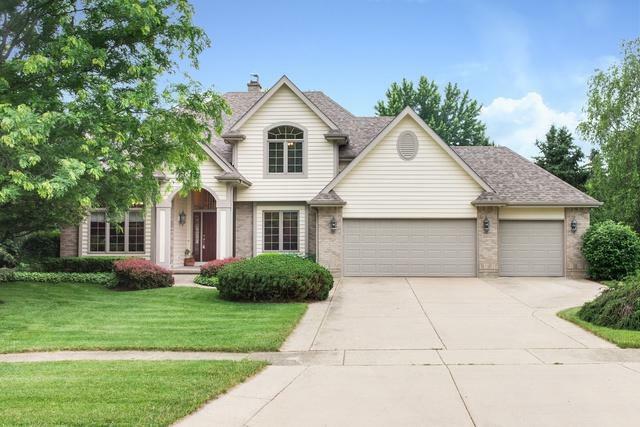 The dining room has hardwood flooring and a decorative tray ceiling, there is a dual open fireplace that warms both family room and kitchen, large open kitchen has beautiful granite counter tops set off by white cabinets. There is also a cozy breakfast area with bay windows. Enjoy the back deck with tree-lined backyard.